August 7, 2017 – Three of six new Lockheed Martin developed, state-of-the-art receivers are now deployed to help the U.S. Air Force maintain the accuracy of Global Positioning System (GPS) satellite signals. In June, the first new Monitor Station Technology Improvement Capability (MSTIC) receiver became operational at Cape Canaveral Air Force Station, Florida. The upgrades continued at Air Force Monitoring Stations on the Kwajalein Atoll and Hawaii. These critical upgrades of the GPS Monitoring Stations from early 1990s technology are part of an overall effort to modernize and maintain the current GPS ground control system, known as the Architecture Evolution Plan Operational Control Segment. The new MSTIC receiver’s Software Defined Radio (SDR) technology will replace the legacy Monitor Station Receiver Element (MSRE)’s hardware-based ASIC (application-specific integrated circuit) platform originally deployed almost two decades ago. MSTIC leverages Commercial Off-the-Shelf hardware without the need for custom firmware. Standard interfaces and the inherent configurability of the architecture simplifies sustainment and enables MSTIC software to migrate to new hardware platforms as commercial vendors increase processing power, improve reliability and enhance cybersecurity. “MSTIC’s new SDR technology enables the remote application of mission specific software updates which will improve performance and enable reception of modernized GPS signals,” adds=ed Sica. The Global Positioning Systems Directorate at the U.S. Air Force Space and Missile Systems Center contracted the MSTIC upgrade. 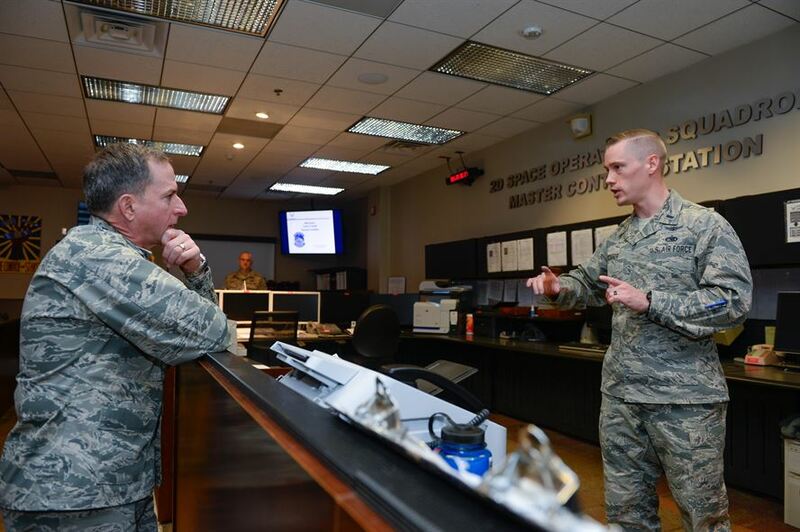 Air Force Space Command’s 2nd Space Operations Squadron (2SOPS), based at Schriever Air Force Base, Colorado, manages and operates the GPS constellation for both civil and military users.